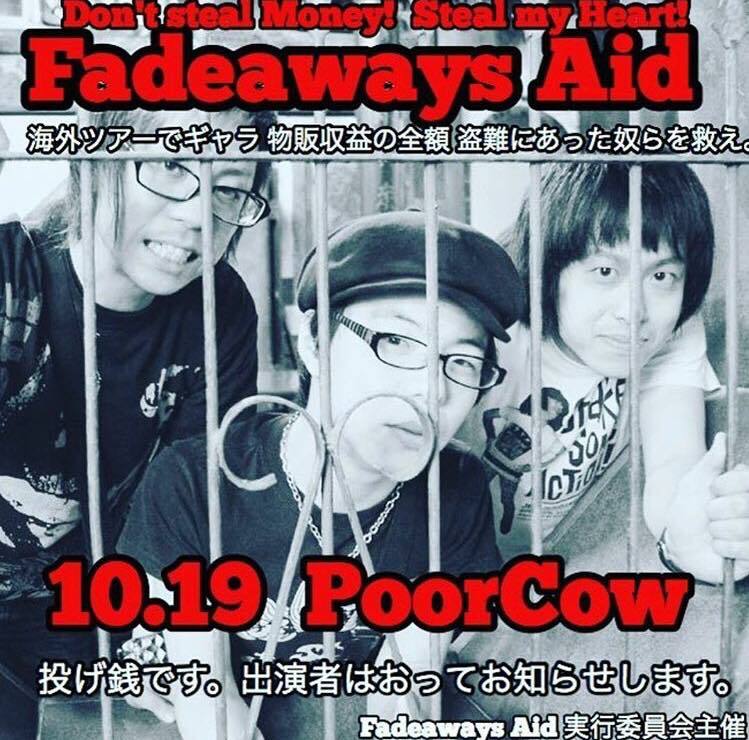 Our friends The Fadeaways recently had ALL their money stolen from them on their Europe tour. So for the month of October 100% OF ALL SALES will be going to help them recover their loss. If you were thinking of buying something, do it now, and support a good cause. If you or your friends have ever toured Japan ,chances are these guys have helped you in some way. Support independent music, bands, and each other.